You spoke, we listened. 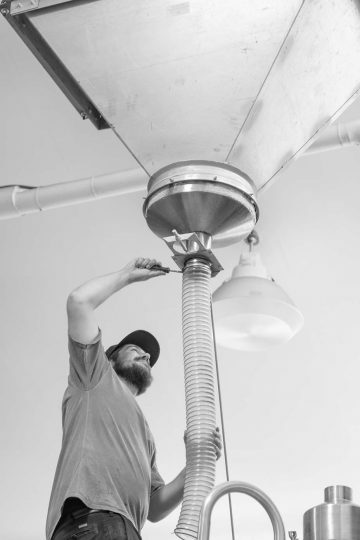 Whether you’re breaking into the industry and need a hand making your brew a reality, or you’re a licensed brewery looking for some extra capacity, we can help. Lake of Bays Brewing Co. has been in the game since 2010 where we have grown to become one of the top breweries in Ontario. Our entrepreneurial spirit and dedication to customer service is what makes us stand out. 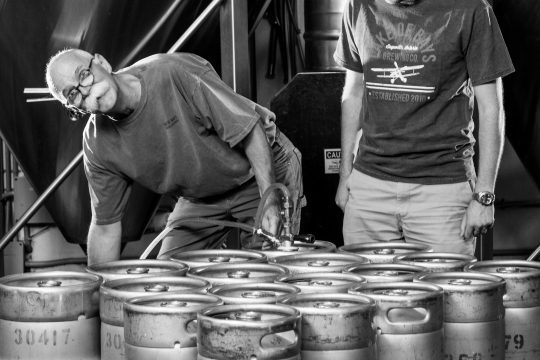 Mark, Andrew and Mike make up the trifecta that is our brewing team. Some of the first graduates of the Niagara College Brewmaster and Brewery Operations Management program, each of the brewers has worked at Lake of Bays Brewing Co. for almost 8 years. They know the perfect mix of art and science that makes great-tasting beer – they can test beer parameters, pH levels, and dissolved oxygen on site as well as be innovative and experimental with new ingredients and beer styles. They’ve worked with local ingredients and have even trained overseas. Brewmaster Dan fearlessly leads the team, having worked in the beer industry for over 30 years with breweries large and small, including a stint in Alaska. His experience (and his mustache) are no joke. SOLD? HERE’S WHAT TO DO NEXT.